Unsere Wohnung von 90 Quadratmetern. Modern und einladend, wurde es komplett renoviert. Das Hotel liegt gegenüber dem Strand von Regina Elena und den besten Badeanstalten von Ladispoli. Bestehend aus 2 Schlafzimmer, Wohnzimmer mit Schlafcouch, Küche, Bad, großer Flur, Abstellraum mit Waschmaschine. 2 Balkone. Wir haben uns sehr wohl gefühlt in dieser Ferienwohnung. Alles war perfekt und ich kann diese Wohnung absolut empfehlen. Massimo, der Vermieter ist super nett! Vielen Dank nochmal an dieser Stelle an Ihn. Thanks Ole, it's always a pleasure to host kind people and educate like you. See you soon. Extremely Nice, very clean Apartment close to the beach. We enjoyed the stay. The apartment is nice, well located, close to the beach and the centre. It’s really clean, in particular compared to other places. The view from the balcony is spectacular, especially at sunset. The train to Rome takes about 30min. Very much recommended. was pleasure to have Andreas Ines and Laura in our apartment. communication was very good.they left the apartment in perfect condition. we will be happy to host them again! Der manglede ikke noget hverken i badeværelset elller køkkenet. 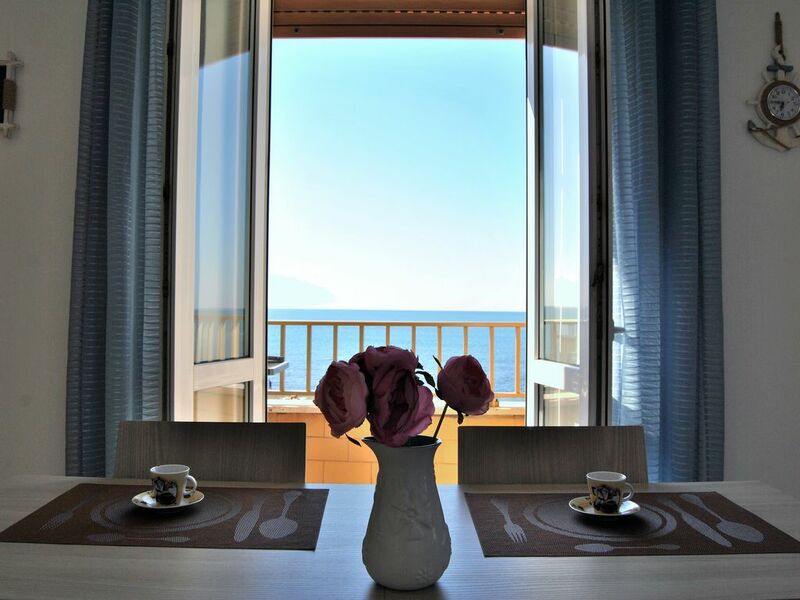 Well maintained and well equipped apartment with lovely sea view. Convenient location very close to shops. Overall we had a great experience. Families with small children need to adjust their noise levels in an apartment - we had some difficulty with that with a 2 year old and noisy 7 year old and there was a complaint from the neighbours - but this was handled sensitively by the owners. Lækket lejlighed lige ned til vandet. Tæt på byen. Wifi kunne dog godt forbedres betydeligt. Thank you for being our guests. We have already solved the speed of Wi-Fi. See you soon.